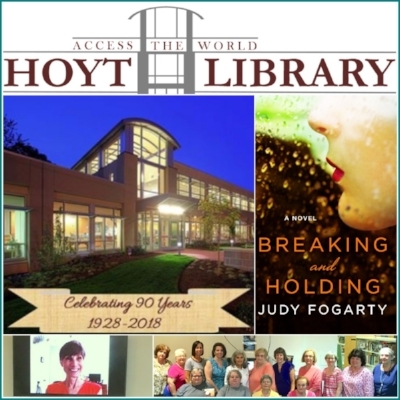 On July 26th, via FaceTime, I met with readers of the Hoyt Library Book Club in Kingston, Pennsylvania to discuss Breaking and Holding. The Discussion Questions I'd prepared led to many other questions from this perceptive, thoughtful and amiable group. To all who attended, thanks for an enjoyable hour and thanks to the library for choosing Breaking and Holding as the summer session novel. Nothing is more gratifying for an author than connecting with readers. If you've read my novel, I'd love to hear from you -- through reviews on Amazon or Goodreads, comments on Facebook or Twitter, or through the connect page of this website. Book clubs, I'd love to talk with you about Breaking and Holding IN Person, by facetime, or by skype. Let's set a date.